Note: if you'd like to knit this pattern and you are size 5UK (38) or more, knit the ribbing for the ankle with size 4mm DPN instead of 4.5mm to compensate for the extra stitches in the pattern. 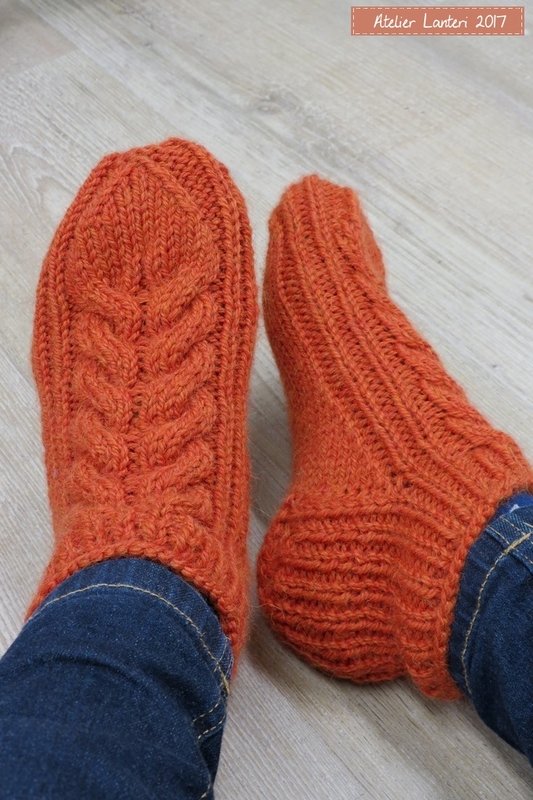 Mod: I didn't knit the last row from M.2 (row 14). Instead I finished grafting the remaining 10 stitches (5top and 5bottom). There are great videos on Youtube that shows you how to do it.